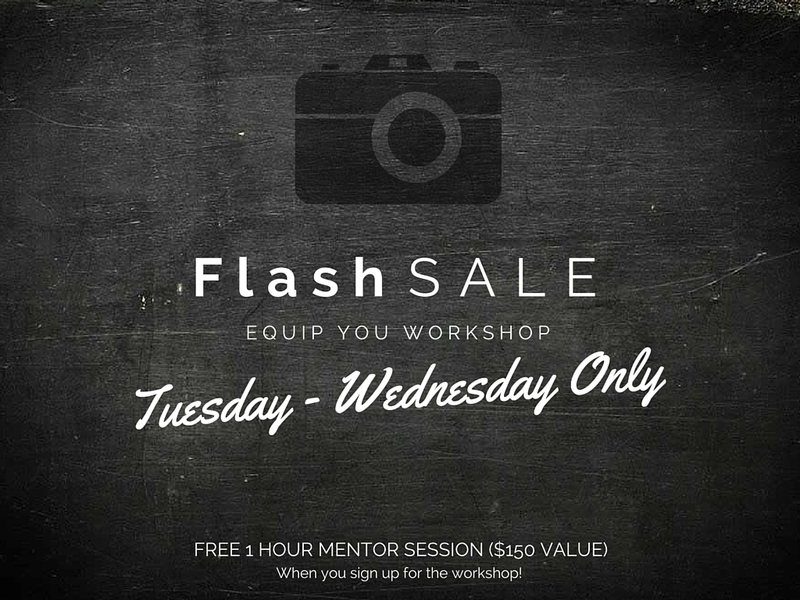 Photos by Hailey Blog: FLASH SALE! Equip You Workshop! Happy Tuesday everyone! If you follow Asterisk Photography or I on Facebook or instagram (Photos By Hailey, Asterisk Photography) you’ve probably seen us counting down the days until our workshop this weekend! It is THIS Saturday, and we have a few more open spots! We want to fill the last few spots so we have a little incentive! Anyone who signs up TODAY (and today only) will receive an FREE 1 hour mentor session. This is redeemable AFTER the class. We cram a LOT of information in on the day of the class, and many people from our last class have commented on how many more questions they had once they went to put the information they learned into practice. So, this is a gift for anyone who signs up today. You’ll be able to Skype with Angelina or I and ask us all the questions on your mind. One on one! Both Angelina and I charge $150 for a mentoring session, so this is quite the deal! Several years ago I went to a lighting class and thought I had learned so much (and I had), then got home, pulled out my flashes, camera, and light stands and literally stood there trying to figure out what I was suppose to do. I really needed someone who knew what they were talking about right there to help me along! So that’s what we’re going to do for you. Angelina made a little video to explain bit! Go ahead and sign up now! The class is this Saturday from 10:00 -3:00 in Marietta! We can’t wait to see everyone!